The Royal Berkey water purifier is the third largest system available. It’s great for large families, camping and groups. 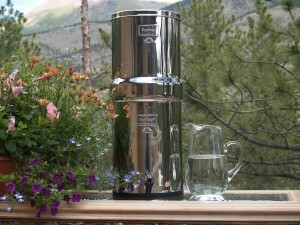 The Royal Berkey is a great home and emergency use water purification system. It comes supplied with (2) Purification Elements but can accommodate up to (4) Purification Elements at a time. You may add additional Purification Elements in the drop-down box below. Water Purifiers with Real Purification Power! The Royal Berkey is third largest in our line of water filters and purifiers. It is a great water purification system and works very well on your countertop, or when you need it most during emergencies. The Imperial Berkey provides you with instant purified water anytime; especially during an emergency. Made of 304 Stainless Steel (professional kitchens use this type of stainless steel) so you know the water purifier is built to last and be attractive. Water Purification Now and During Emergencies! 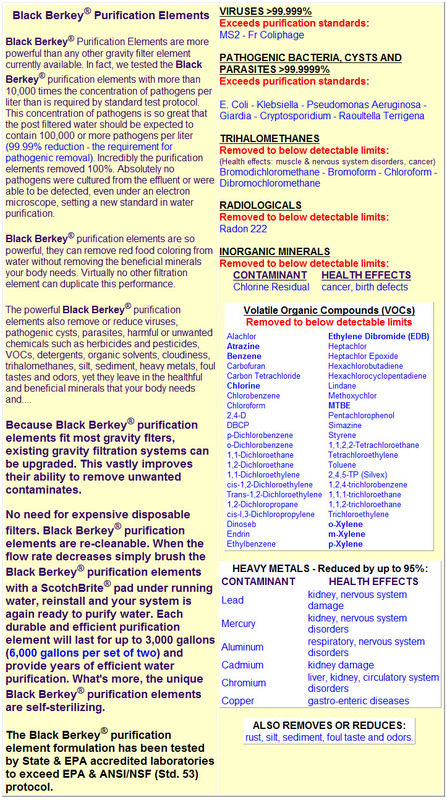 The incredible “Black Berkey Purification Elements” filter and purify like none other, and they are what make our purifiers so powerful and essential, especially in the worst of circumstances. The stats below tell the story of these powerful water filters and purifiers. Fully loaded, with 4 purification elements, the Royal Berkey is capable of cleaning and purifying at least 12,000 gallons of pure drinking water from “raw water” sources like lakes, stagnant ponds, streams, rain, and even mud puddles if needed. That is a comforting thought to know that you never need to run out of water! Pure filtered Water that passes through these powerful purification elements has the nasties (pathogens) like giardia, cryptosporidium, heavy metals, removed, and, because the purification elements are so powerful, they even eliminate bad tastes and odors…(See the Specs Below.) This water purifier works when there is no electricity or even water pressure. It is a completely “stand-alone” purifier! The purifier relies on gravity and the natural pressure of water in the upper chamber to allow the water to pass beyond the micro-pores of the purification elements. the purification system does all of this without losing the essential minerals your body needs in the process. The stainless steel water purifiers like the Royal Berkey are great because during disasters and emergencies many people may not have the water they need to even sustain thier own lives. Remember the folks standing on their roofs during hurricane Katrina? They could have dipped water right out of the flood waters and drank it without any health concerns. Pure water was available to everyone if they only had a water purifier from Berkey! Think of the neighbors and friends that could have been helped with clean and pure water if only a handful of people had thier water treatment systems handy! Purchasing the Royal Berkey Water Purification System is Quick and Easy! Just click on the “Add to Shopping Cart” button above and select how you’d like to pay. It comes with 2 Black Berkey Purification Elements, but you really should consider adding up to 8 more purification elements for improved water flow, back-up elements, and a far greater water purifying capacity. This will allow you to help others who will also need water during an emergency. You can literally save lives later by preparing for a water emergency now! Many People Prefer This Option: This Is Our Premium Water Purifier Spigot. It has been specially designed for our stainless steel water purifiers so you can easily see how much pure water remains in the lower chamber without removing the upper chamber to peek inside. It is very handy! 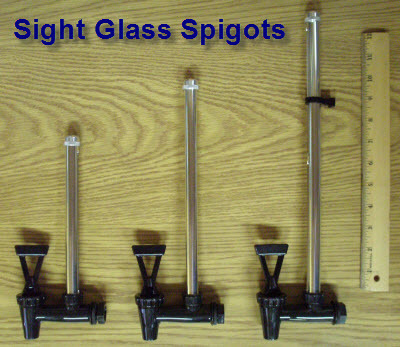 Click HERE to Learn More About this Spigot.